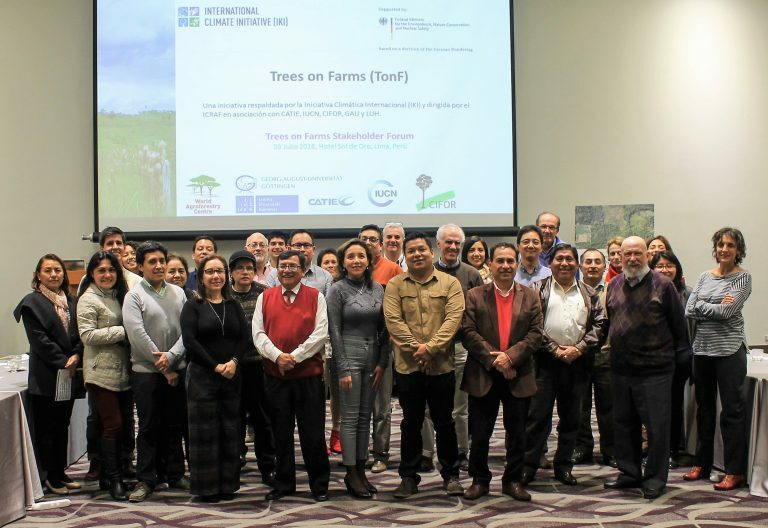 Álvarez was speaking at the opening workshop of a new project, Harnessing the Potential of Trees on Farms for Meeting National and Global Biodiversity Targets (Trees on Farms/‘Arboles en las Chacras’), funded by the Federal Government of Germany’s International Climate Initiative, held on 3 July 2018 in Lima, Peru. He explained that over the last few years it had become clear that protected areas were the fundamental tool for conservation. However, these alone were not enough to guarantee success. Interventions outside protected areas were required. Agriculture, taken as a whole, was particularly important for conservation of biodiversity. The high biodiversity level of a remote farm might not count as part of conservation if it was considered in isolation and not as part of a wider, interconnected landscape. 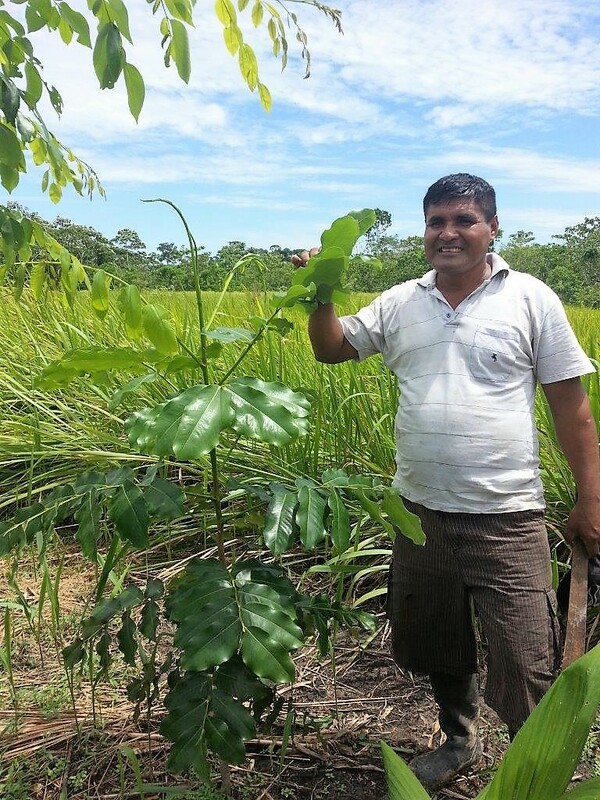 The Trees on Farms project aims to expand biodiversity by increasing the number and variety of trees in agricultural landscapes, thus helping to meet Aichi Target 7 of the United Nations Convention on Biodiversity. ICRAF supports the project in five countries and directly implements it in Uganda, Rwanda and Peru. The Centre for International Forestry Research is taking the lead in Indonesia, while the Centro Agronómico Tropical de Investigación y Enseñanza (CATIE/Centre for Higher Education and Research in Tropical Agronomy) coordinates activities in Honduras. The International Union for the Conservation of Nature provides knowledge management and outreach expertise and Gorge-August-Universität Göttingen provides specific scientific support. The workshop attracted 36 participants (16 women, 20 men) from the Ministry of Environment’s Directorate of Biological Diversity, Directorate of Climate Change and Desertification, and Joint (Peru-Norway-Germany) Declaration of Intent; the Ministry of Agriculture’s Directorate of Agrarian Information, Directorate of Agriculture, and Directorate of Evaluation of Natural Resources; National Forest and Wildlife Service; Food and Agriculture Organization of the United Nations; the Regional Government of Ucayali’s Environmental Authority of the Directorate of Biologic Conservation, and Directorate of Forest and Wildlife Management; the Peruvian Agricultural Bank; the Peruvian Society of Environmental Law; the National Agrarian University La Molina; Earth Innovation Institute; Solidaridad Network; the Center for International Forestry Research; Pro Naturaleza; and GFA Consulting Group. Belvi Cáceres of the National Forest and Wildlife Service (Servicio Nacional Forestal y de Fauna Silvestre) explained the regulations governing plantations and agroforestry systems established on private and state land. In the latter, ‘Special Treatment Zones’ allow agroforestry concessions (Cesiones en Uso por Sistemas Agroforestales) to be established that recognize the de facto occupation and establish a mechanism that brings it within the law. The mechanism includes incentives for the use of native and threatened species in line with Aichi Target 7. However, none have been implemented because of the complicated design of the mechanism. 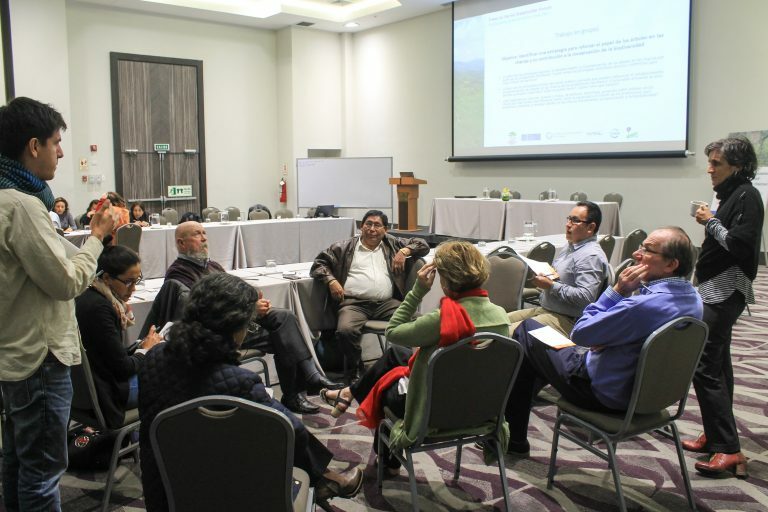 It is important to note that the Regional Government is working together with the National Forest and Wildlife Service in the design of priority ecosystems for biodiversity conservation in Ucayali region. In the same process, they are elaborating new land management tools, such as a map of anthropic pressure, which reveals areas where most of the threats to biodiversity conservation are concentrated. The Trees on Farms project will focus on these areas. Read the Spanish version of this blog here.